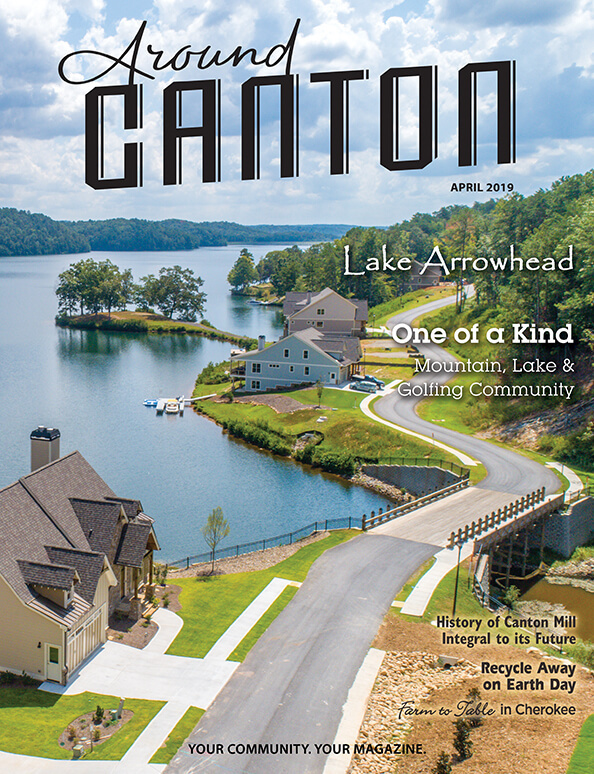 Diana Mounce, of Acworth, and Laurie Farmer, of Canton. Photos provided by Musicians On Call. 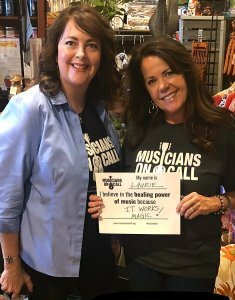 Diana Mounce, of Acworth, and Laurie Farmer, of Canton, became volunteers with Musicians On Call when the program started in Atlanta in 2015. 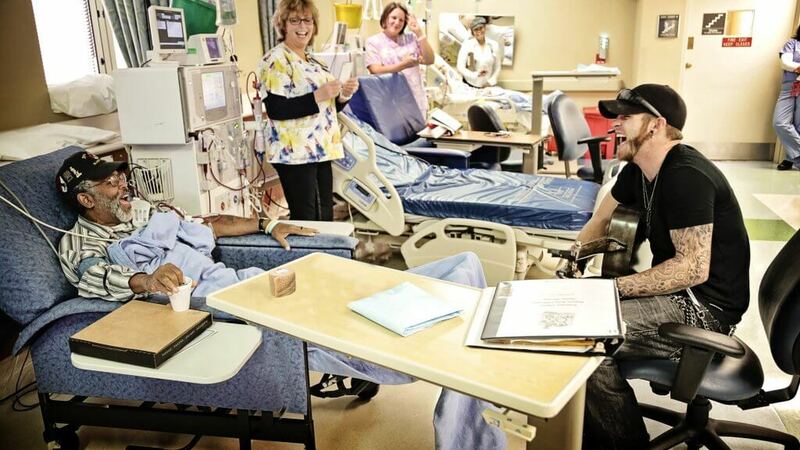 The nonprofit sends volunteers into healthcare facilities to share music at patients’ bedsides. Since the women joined, they have taken music to approximately 500 and 1,100 patients, respectively, at Atlanta VA Medical Center. Farmer, who serves as a volunteer guide with Musicians On Call, is a badged VA Medical Center volunteer who escorts musicians to rooms for performances. Musicians On Call is a national organization that formed with a mission to bring live and recorded music to patients’ bedsides. The co-founders are music and entertainment entrepreneurs Michael Solomon and Vivek Tiwary, who bonded when they lost loved ones after long hospital stays in New York. Before forming the organization, Solomon helped the Kristen Ann Carr Fund host a concert for patients at Memorial Sloan-Kettering Cancer Center in New York. The fund honors Carr, a New York resident who died of sarcoma at age 21 in 1993, by awarding grants for cancer research and working to improve the lives of young cancer patients. While fighting cancer, Carr focused on helping other young people with the disease. Tiwary attended the concert to support Solomon, and in search of healing after losing his parents to cancer. At the concert, patients in wheelchairs were carefully arranged around a temporary stage in a recreation area. The men saw how much the music meant to them, and, afterward, reached out to musician clients and friends to arrange similar concerts. After a couple of visits, they were asked to visit patients who were too sick to attend. It was clear to Solomon and Tiwary that some patients who needed music most couldn’t get to the concerts. They founded Musicians On Call to take the music to them. 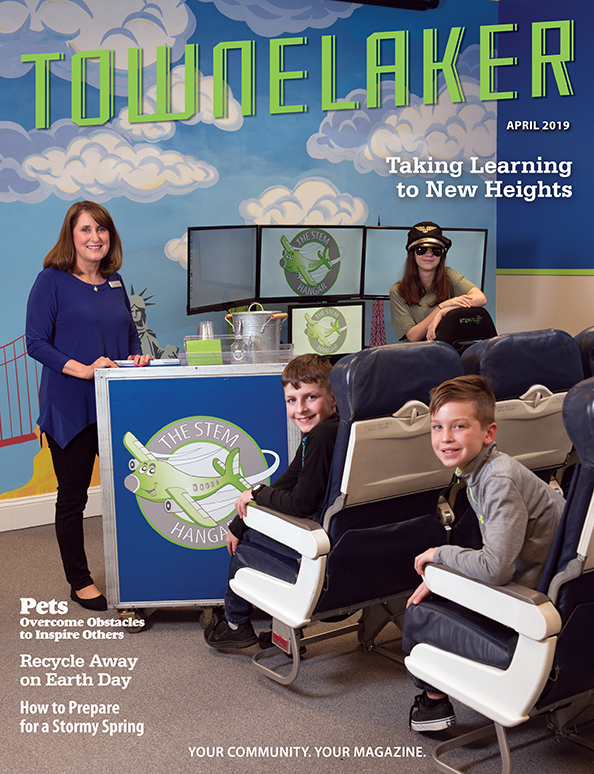 The organization has grown to serve in healthcare facilities, children’s hospitals, VA hospitals and hospices in 17 major markets across the country. In addition to Atlanta and New York, the organization serves in cities that include Dallas, Las Vegas, Los Angeles, Miami, Nashville, Phoenix, San Francisco and Washington, D.C. Musicians On Call coordinates performances directly with healthcare facilities, and relies on financial support — through personal donations, events and auctions — to expand to other facilities. 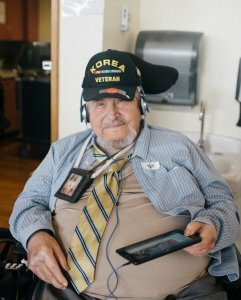 Musicians On Call provided tablets that stream specialized Musicians On Call Pandora playlists to veterans at a healthcare facility on Veterans Day. 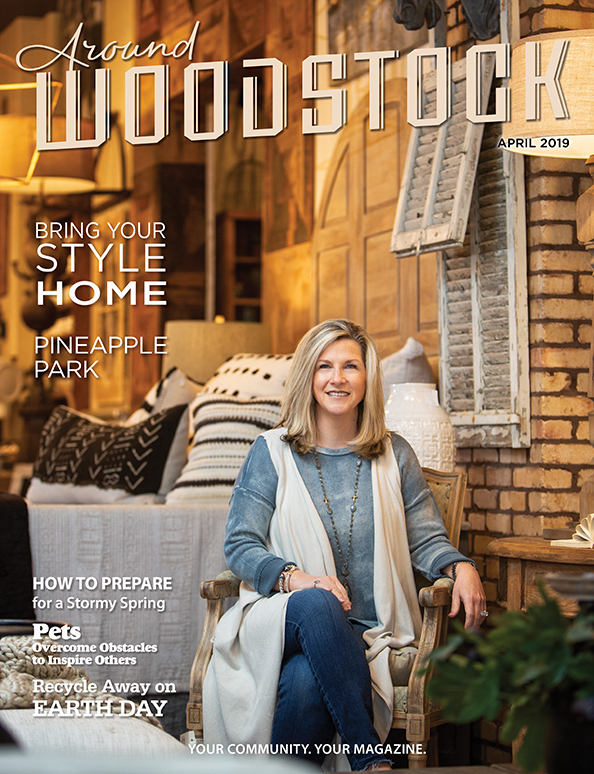 As of May, volunteer musicians had played for more than 650,000 patients, families and caregivers across the country, according to the organization. Facilities without a program can apply to Musicians On Call’s Music Pharmacy program. The program offers patients access to digital streaming music using tablets equipped with specialized Pandora mixtapes designed to promote positivity and healing in the hospital environment. Each Music Pharmacy is provided free to hospitals and is ready for patient use. In Atlanta, seven volunteer guides and volunteer musicians take live music to patients at the VA Medical Center each week. Mounce has played everything from Etta James to the Eagles, and from hymns to sing-alongs. About 50 percent of songs are requests. At times, she’s taken a patient’s request home and learned the song before returning to visit. Mounce said her goal is to give patients the chance to choose a song that will make them feel better, even if it’s only for a few moments. For more information about Musicians On Call, go to www.musiciansoncall.org. To volunteer, go to www.musiciansoncall.org/volunteer. Visit the organization’s Facebook page at www.facebook.com/musiciansoncall. Country singer, songwriter and record producer Brantley Gilbert is among stars who have performed for Musicians On Call. Gilbert is from Jefferson, Ga.